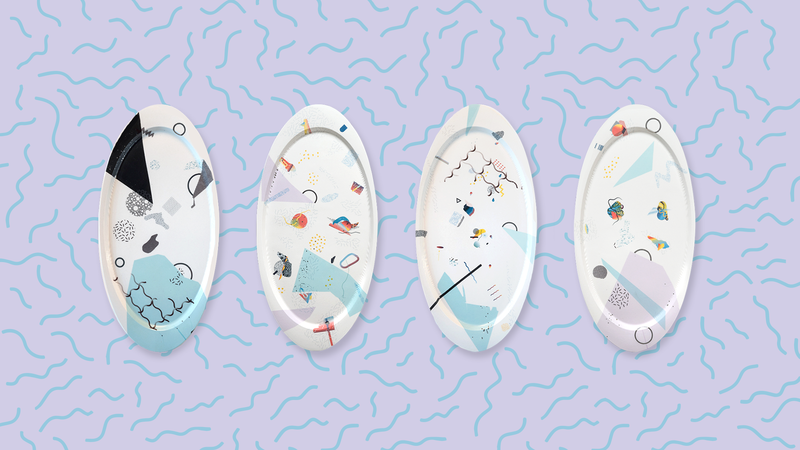 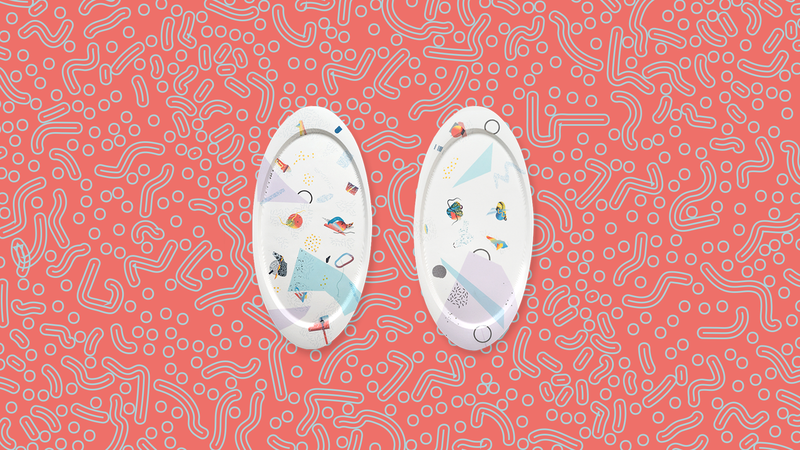 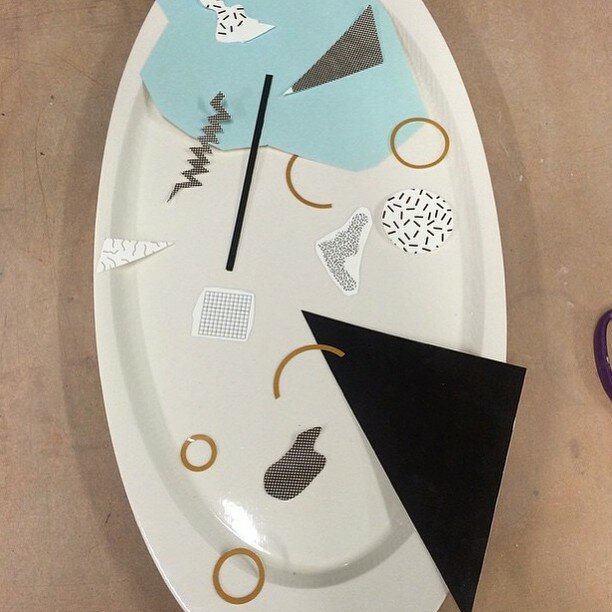 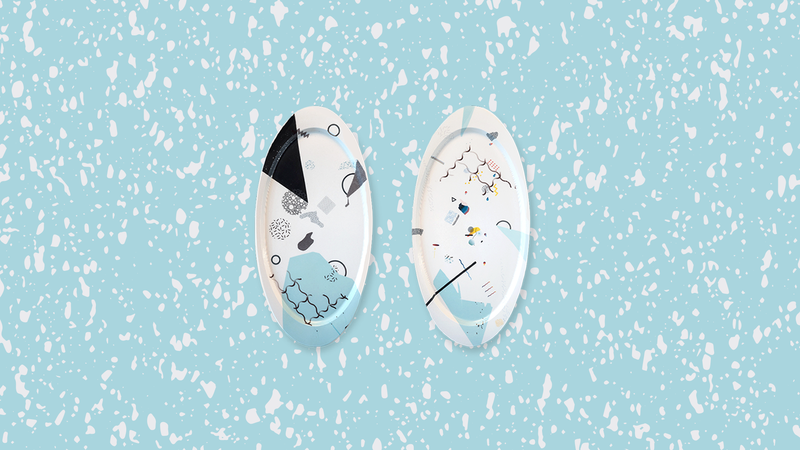 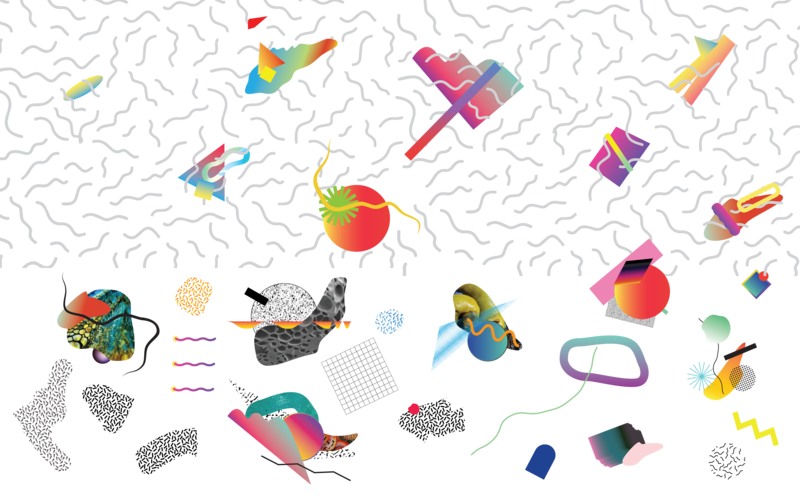 Special Edition Co. collaborated with ceramicist Lea McCormick Griggs on these graphic ceramic platters. 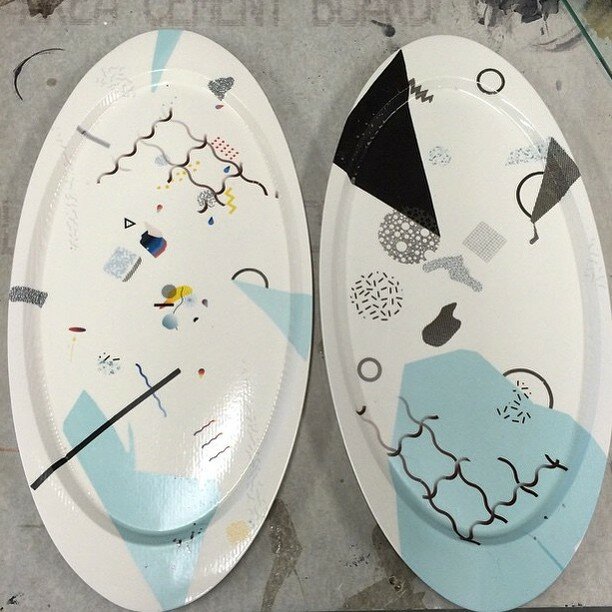 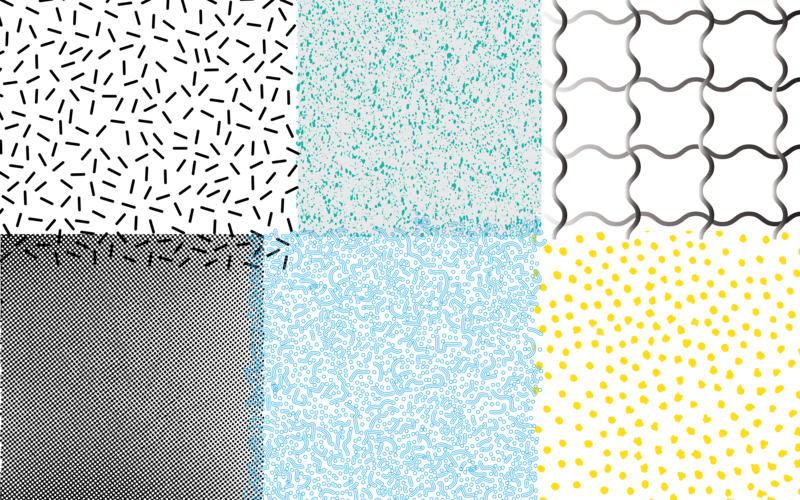 Lea uses ceramic decals regularly in his work, offering opportunities for graphic and photographic application directly to ceramic pieces. 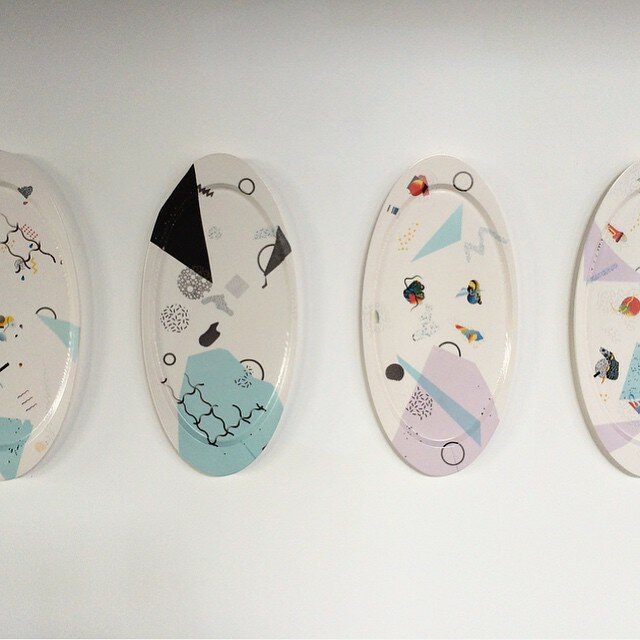 We designed the graphics, printed them on ceramic decal paper and collaboratively placed the elements on each of the four platters. 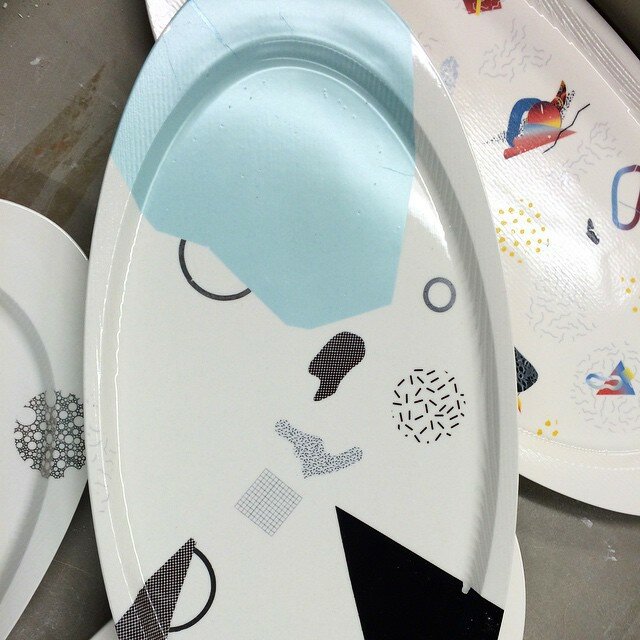 Each platter measures 11" x 22" x 2".